Anne De mare's documentary, "Capturing the flag"
Steven Miller, one of the volunteers depicted in the film, was kind enough to be our guest speaker that evening, introducing the film and sharing his experience with us. We greatly thank him for his time and insights into this aspect of American democracy and for the special Q&A after the film. Prior to the screening we also held a voter registration and ballot request drive. If you haven't already requested your ballot for 2018, it's not too late. 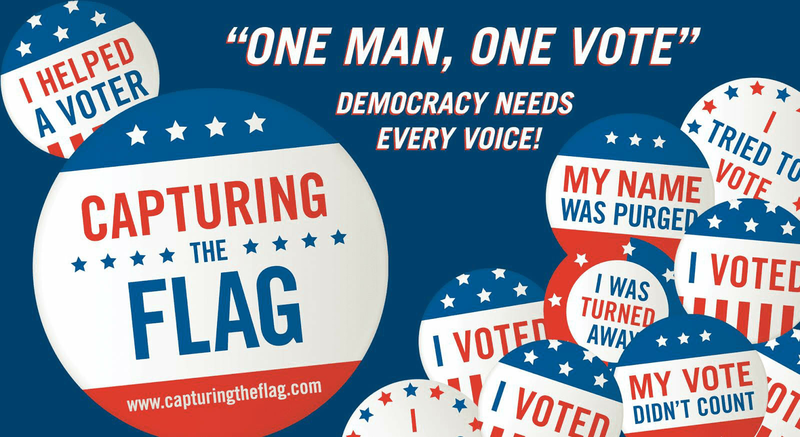 Visit www.votefromabroad.org NOW! 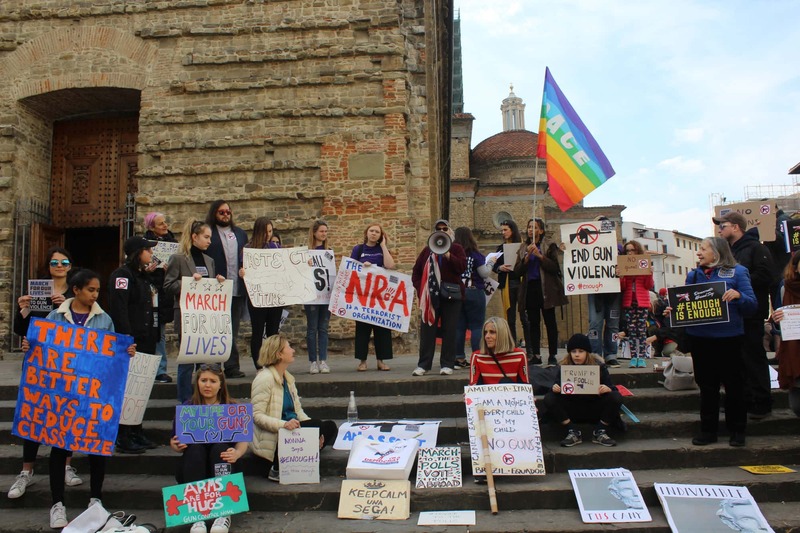 The Florence and Central Italy Chapter has had a busy 2018 Spring Resistance Season. 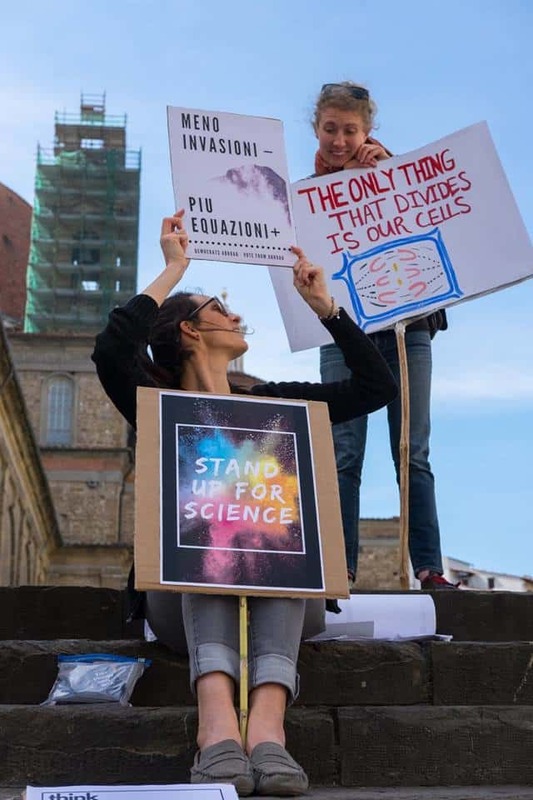 In April we stood in solidarity with science advocates everywhere at the MARCH FOR SCIENCE rally in Florence on April 14th to raise awareness on the importance of science and its research in our every day lives including environmental issues and climate change! We were joined by the Indian astrophysicist and activist, Prajval Shastri. 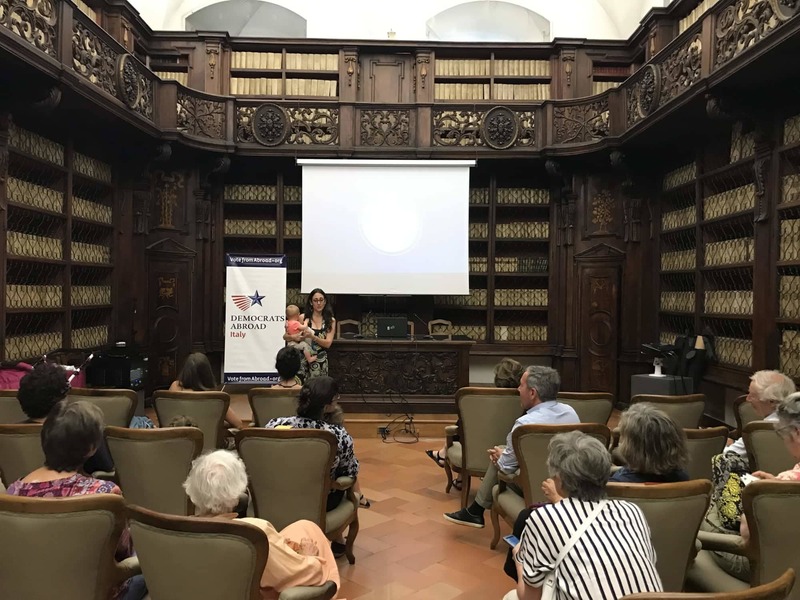 We then held a seminar along with the Florence Resistance Groups, Indivisible TUScany and Women's March Florence, where Professor Angelo Baracca, a leading Italian physicist from the University of Florence, spoke about the nuclear threat and the US government’s plans to develop ‘usable’ tactical nuclear weapons and the over 100 U.S. military bases in Italy. 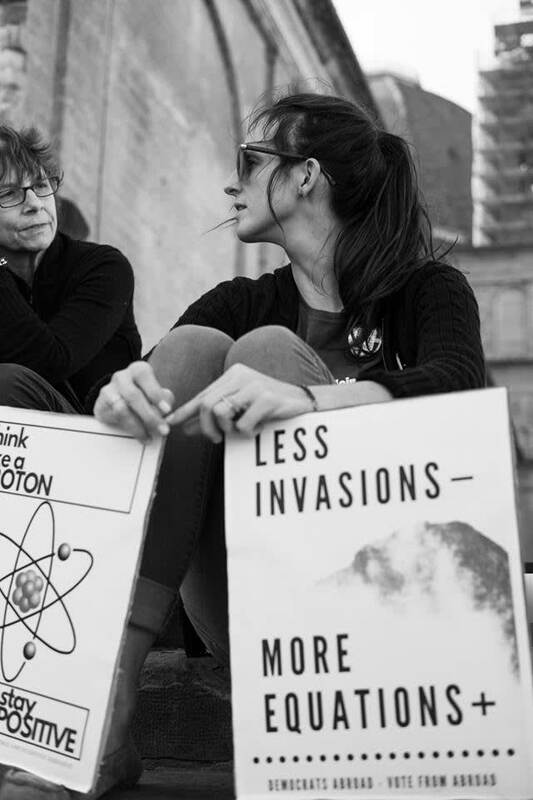 [Science photos by Christina Nikolakopoulos of Women's March Florence]. Register to Vote for the Upcoming Primary Elections and the November Mid-Term Elections! 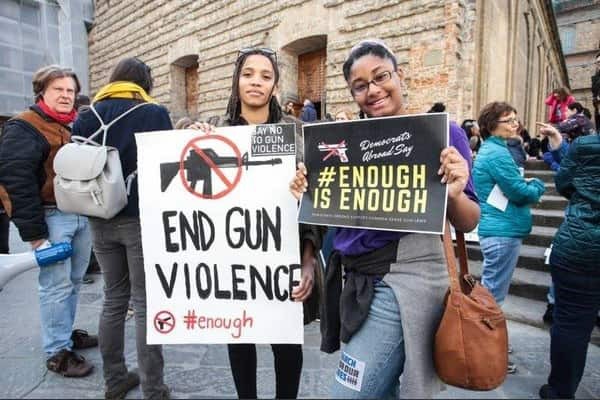 Democrats Abroad Florence stands in solidarity with the students, teachers, victims and their families, and all Americans who demand change in our gun laws so that the epidemic of gun violence ends now. Our sorrow and anger must be directed towards action. 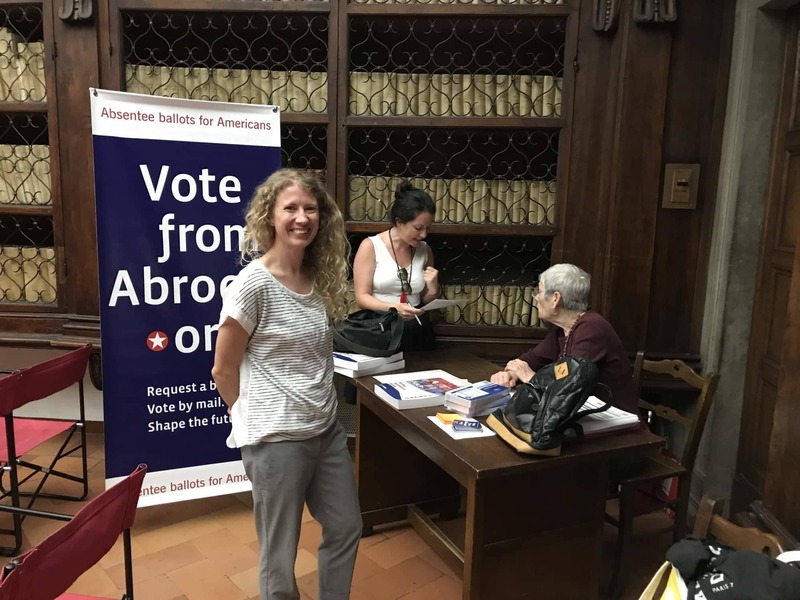 We feel our efforts as a chapter of Democrats Abroad lie in activism towards changing legislation. At our March 17 meeting, we are initiating a letter writing campaign and a social media campaign to promote the #NeverAgain Movement. We encourage you to make your voice heard. 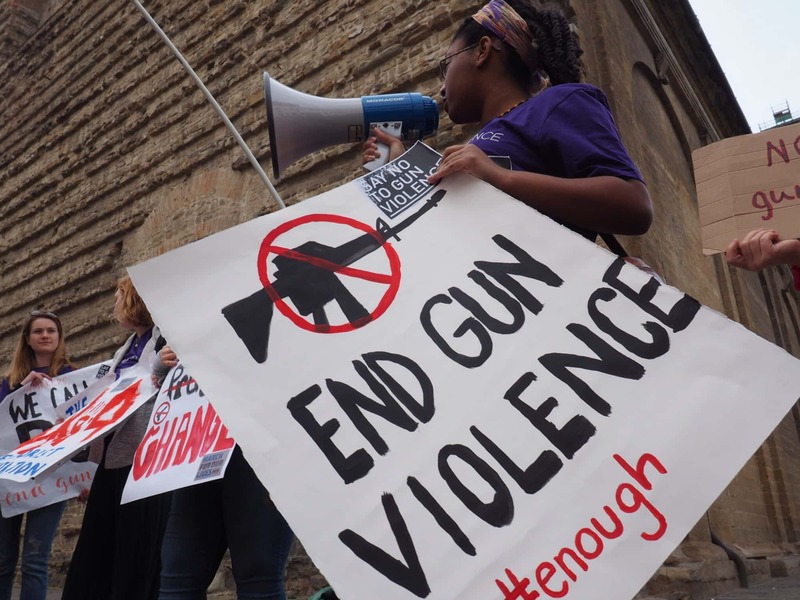 If each Congress person does not listen to our collective voices and work hard to pass legislation for stricter gun laws, including comprehensive background checks, closing loop holes, and an absolute ban on all assault weapons and high capacity magazines, they will not be re-elected this fall. Get registered to vote for this year’s Primary & Midterm Elections. Visit the websites listed below which list companies that support the NRA and those who have distanced themselves and no longer support the NRA. Participate in the boycott! Let’s strip the NRA of its power over politics. 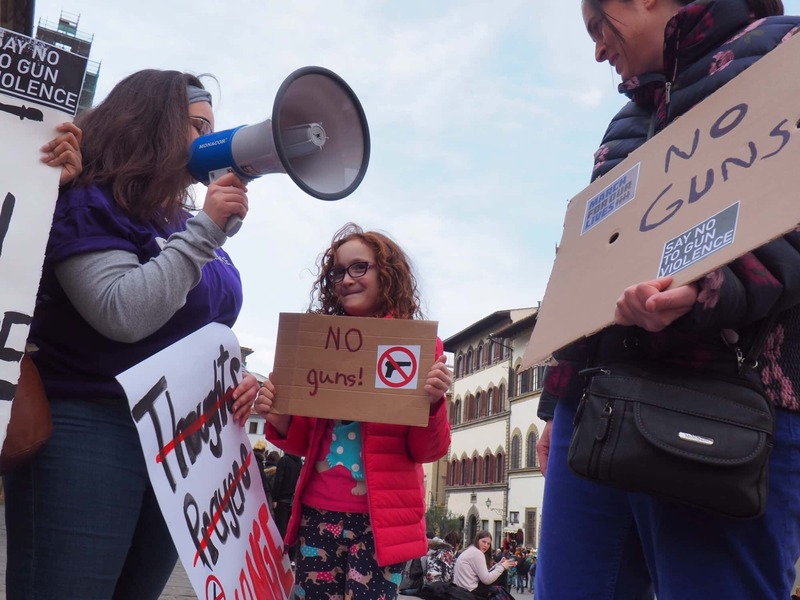 We will communicate to our members any activities/marches organized by our fellow Resistance groups in Florence in support of these scheduled events. Organizational meeting for our GET OUT THE VOTE efforts this spring and summer. Please join us and participate in volunteering for a future VR event. Draft an Anti Gun Violence letter for members to send to their representatives in Congress. Take pictures for a #NeverAgain social media campaign. IT’S TIME TO REGISTER TO VOTE, AGAIN! GET IT DONE IN TIME FOR THE PRIMARY ELECTIONS STARTING THIS SPRING. 2. FILL OUT THE VOTER REGISTRATION / ABSENTEE BALLOT REQUEST FORM. YOU MUST PRINT YOUR FORM AND SIGN IT. SIGNED, SEALED, READY TO MAIL ENVELOPE AT THE U.S. CONSULATE. *You must be a U.S. citizen and at least 18 years of age at time of election in order to vote. **Find your state’s primary election dates at Election Dates by State and select your voting state from the drop-down menu. Let’s Get Out The Vote 2018 and make sure the #BlueWave hits every part of the country. GO DEMS! 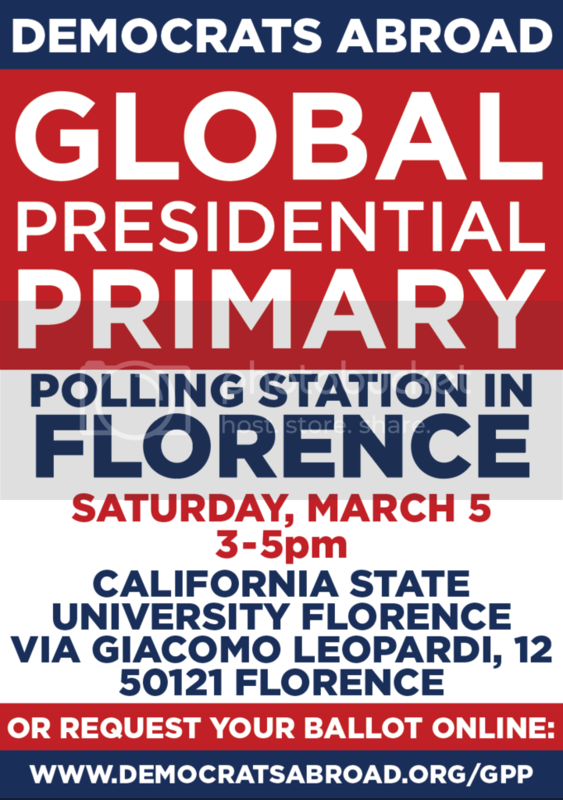 March 8th is almost here and we at DEMOCRATS ABROAD FLORENCE want to know: Are you ready? Are you ready to STRIKE? To BE HEARD? 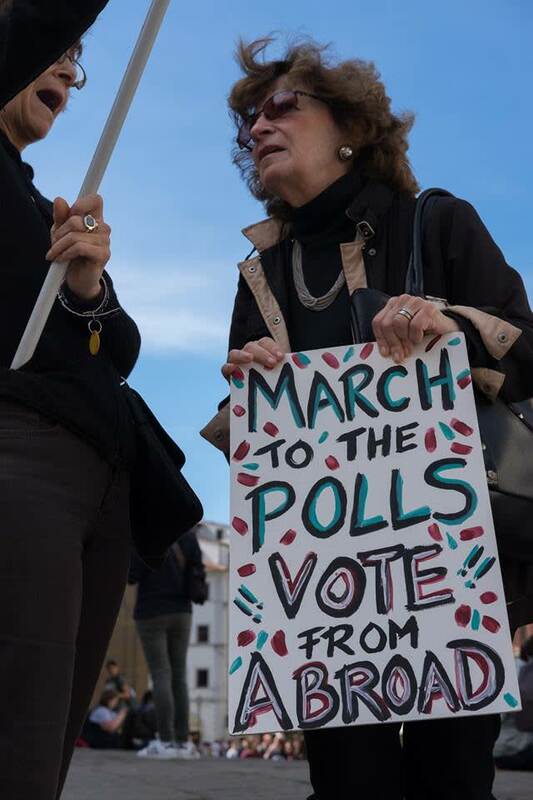 To MARCH? 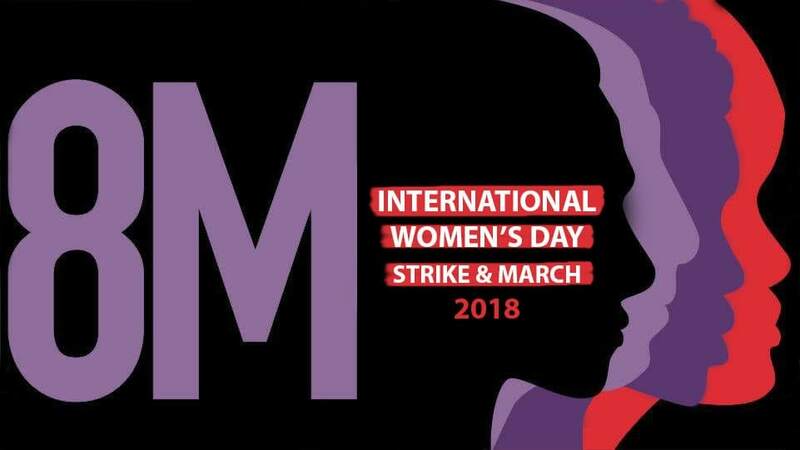 Are you ready to stand strong in opposition to sexual and domestic abuse, economic inequality, workplace discrimination, reproductive restraints...? 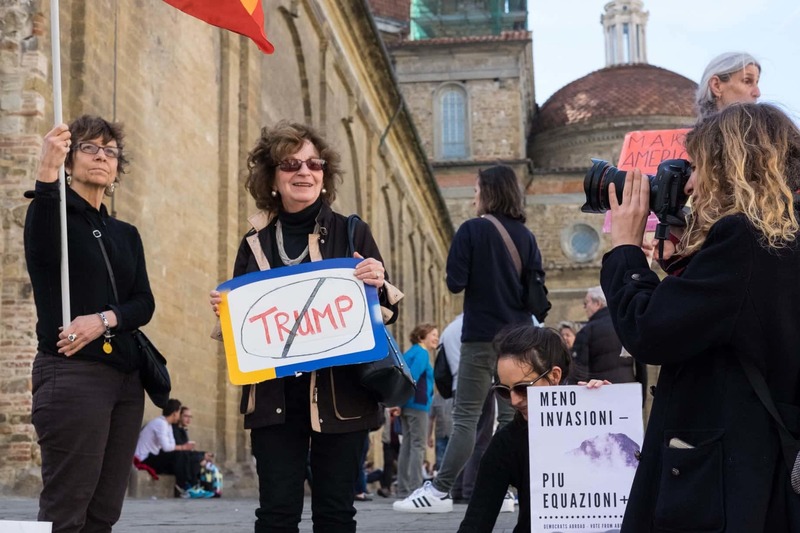 Join us this Thursday, March 8th along with the resistance groups Indivisible TUScany and Women's March Florence for International Women's Day, where the community of Florence returns to the streets in solidarity for the equality of women everywhere. 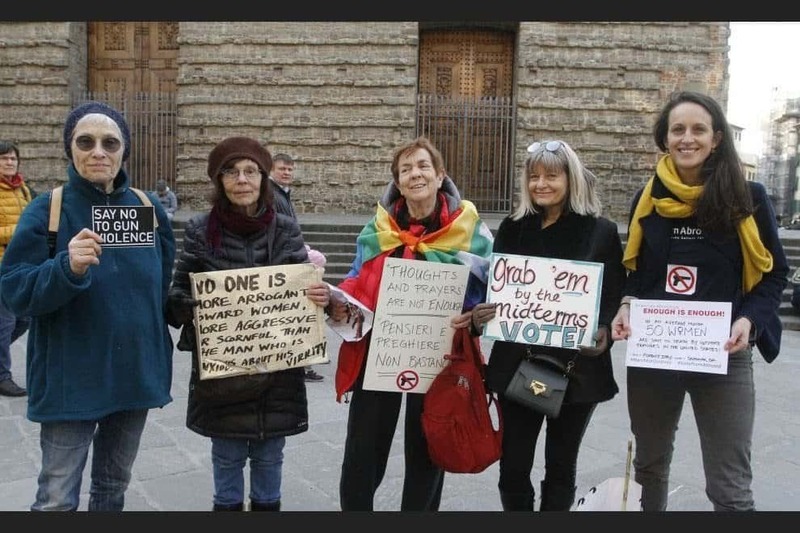 There will be a rally organized by the women's group Non Una Di Meno Firenze for the International Women's Strike starting at 3:30pm in Piazza S.S. Annunziata with music, poster-making, and open-mic speakers. All are welcome! 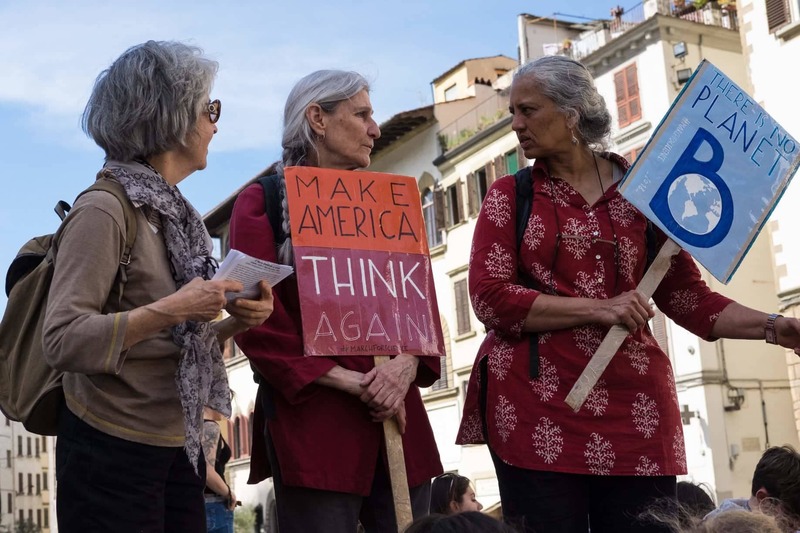 The march will begin at 6:00pm through the center from Piazza San Marco and ending in Piazza Santo Spirito around 9pm. 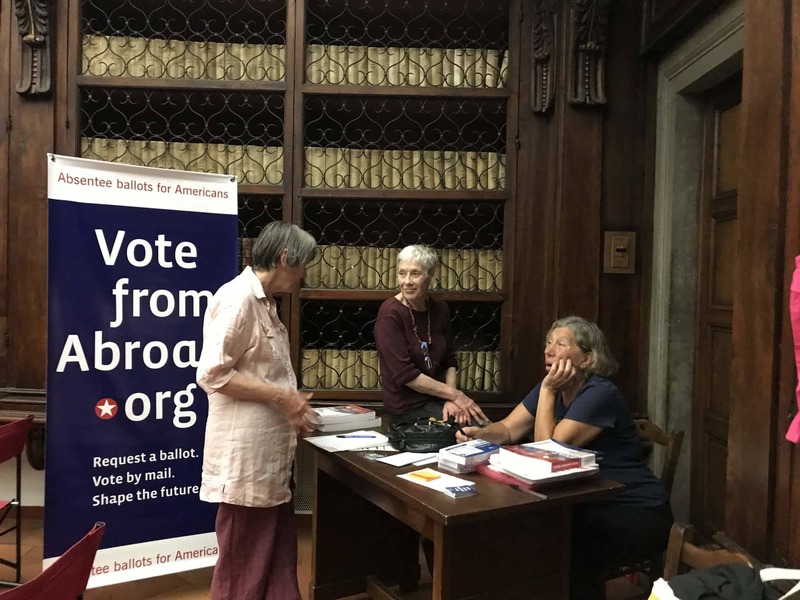 Democrats Abroad Italy wants to know... DO YOU TWEET? 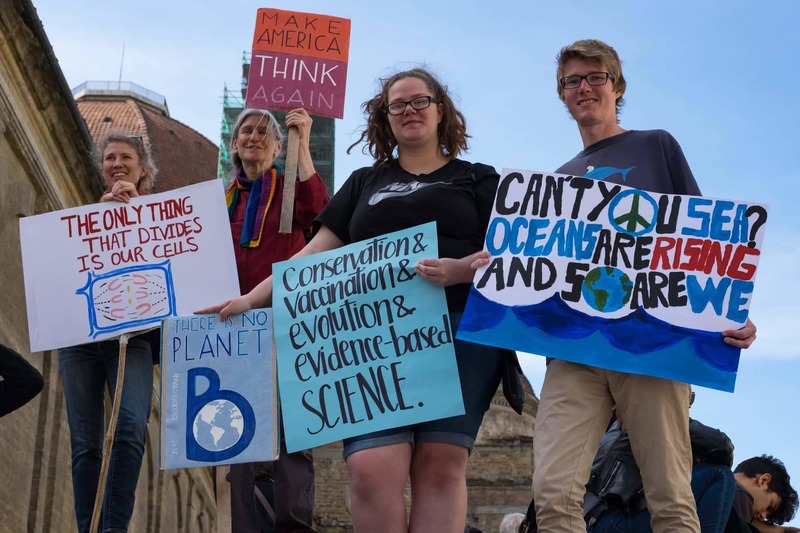 If not, you are missing one of the most vital tools to stay politically informed, connected, and to help shape conversations with those close to you and those across the globe! Even if you DO tweet, there are tools you can use to increase your influence. Join us for the DA Tweet Workshop and we'll show you the best methods to engage, connect, and keep yourself informed. WHERE: Caffè del Verone (located in the Museo degli Innocenti in Piazza della Santissima Annunziata, 13 Firenze). Please bring your laptop (if you have one) and your cell phone (both already charged) – and we'll teach you how to tweet, to follow, and the best practices you can use to make your voices heard! In addition, this is a great chance to meet the new DA Florence Team Leaders who were elected earlier this year and discuss upcoming events and meet-ups. 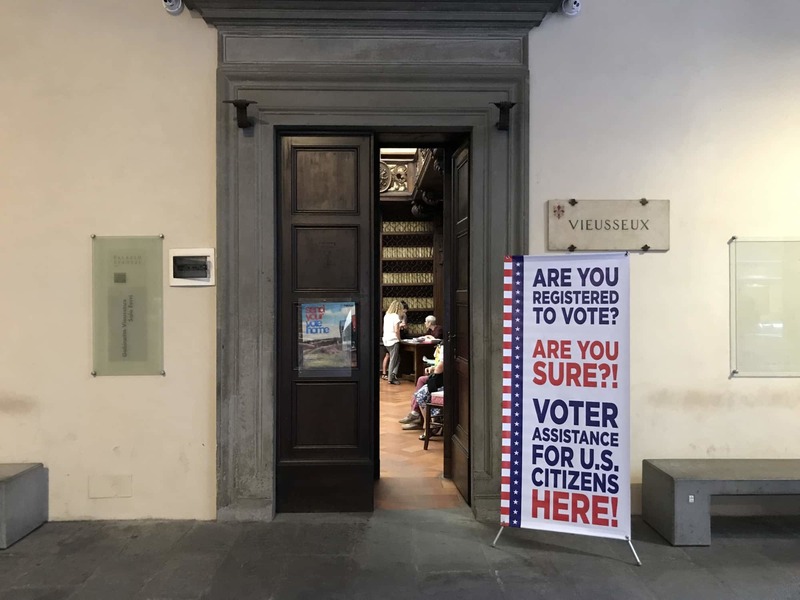 Florence Chapter Elections - May 6! 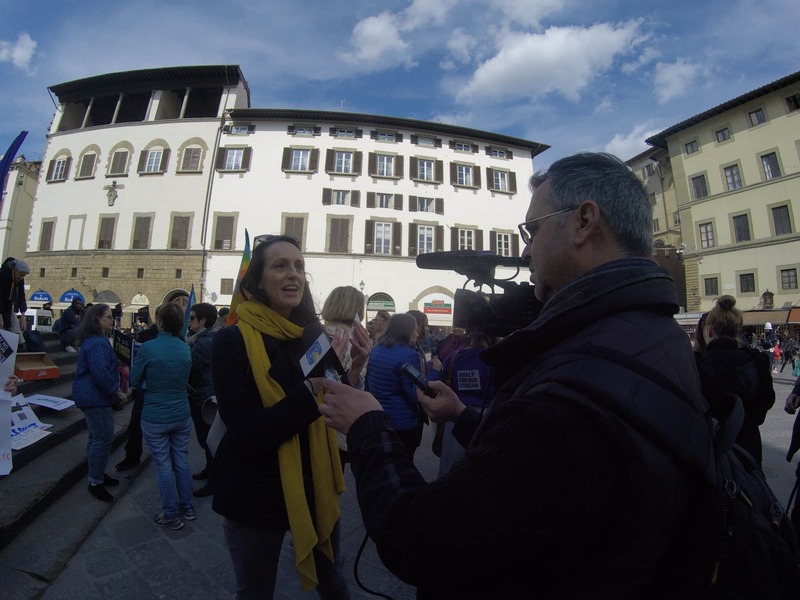 Greetings to all Democrats in Florence, Tuscany and Umbria! Please join us as we bring in new leadership. As DA moves forward, we are building momentum towards the midterm elections and we need all hands on deck! Come run for a position for our local chapter! 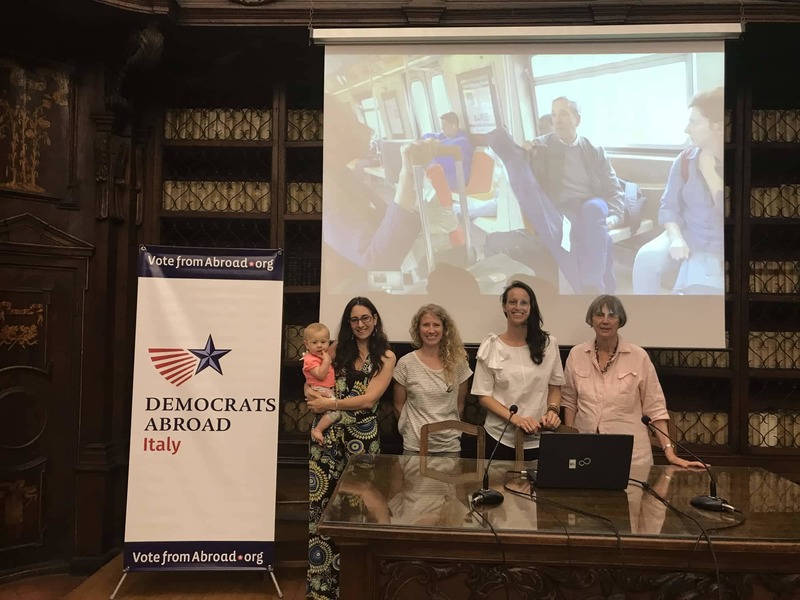 Welcome to Democrats Abroad Florence! 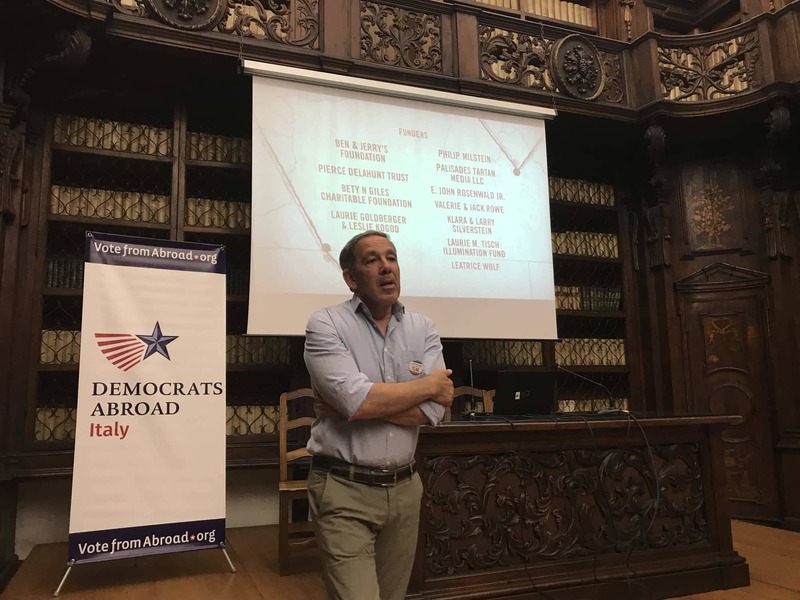 DA Florence is a chapter of DA Italy, the official country committee for US Democrats living in Italy. 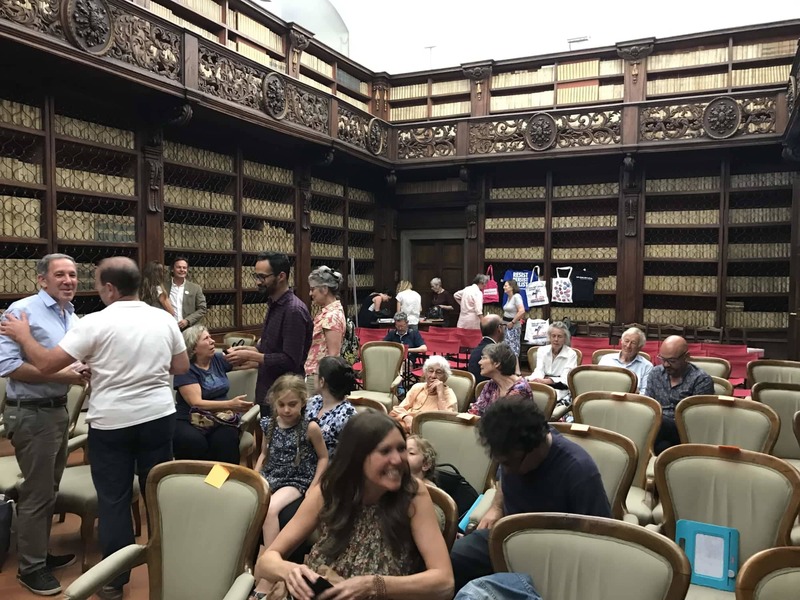 Watch this space for upcoming announcements of meetings and events - we have events planned throughout the year, and encourage anyone interested in participating to get in touch. 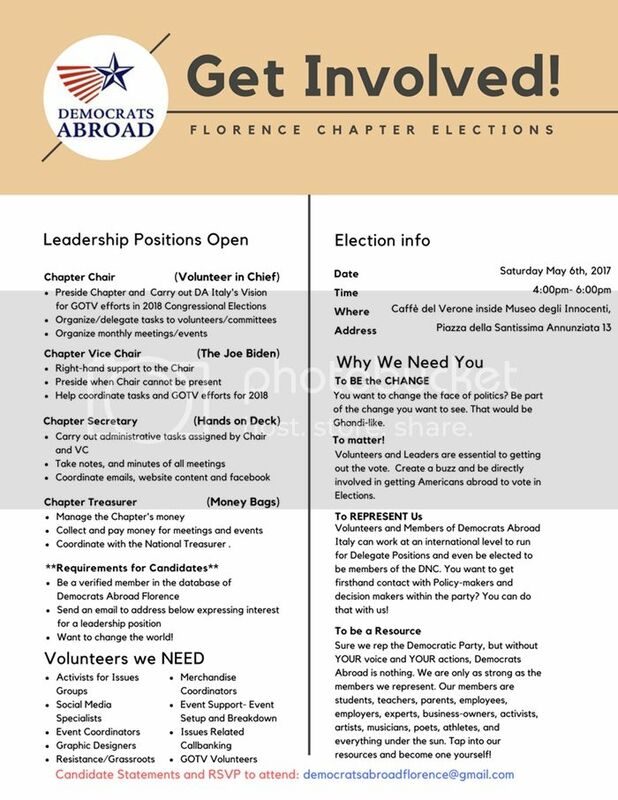 If you have questions or would like to help with Democrats Abroad in Florence, please contact us.